ISU Interim President Ben Allen presents his five year tuition plan to a Board of Regents task force in Ames. Iowa State University’s enrollment has escalated since 2009, while the state’s appropriation to the school has plunged. That’s the message interim President Ben Allen presented to the Board of Regents tuition task force today in Ames. 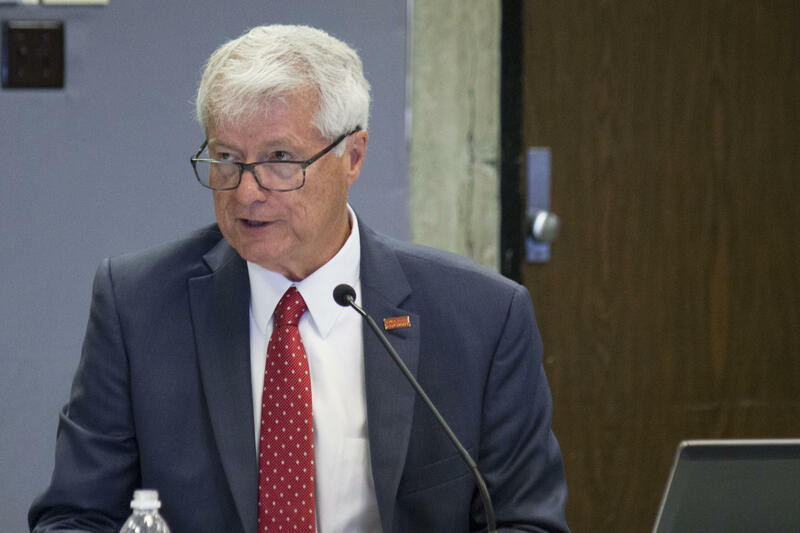 Allen says he has no reasonable expectation that state support will increase in the next few years, while on campus overcrowded labs and lecture halls, frozen faculty and staff salaries and deferred maintenance all are calling out for attention. To address these and other needs, Allen is proposing a 7 percent increase in tuition each of the next five years. ISU's five-year tuition outlook calls for annual increases of 7 percent for in-state undergraduate tuition. But Allen says the university will work hard, in tandem with its foundation, to continue support for students and families that can’t afford the full ticket price. 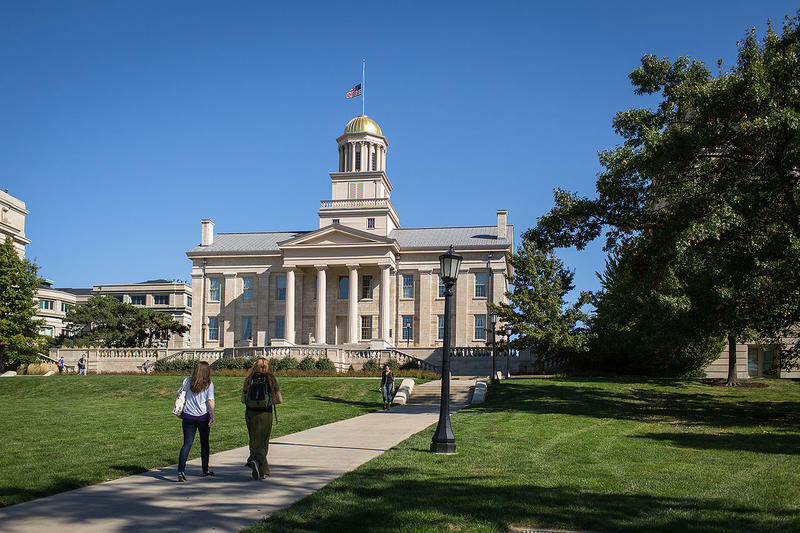 The tuition task force of the Board of Regents asked ISU, the University of Iowa and the University of Northern Iowa to propose five-year tuition plans. UNI made its proposal earlier this week. The University of Iowa’s plan is scheduled to come out Monday. 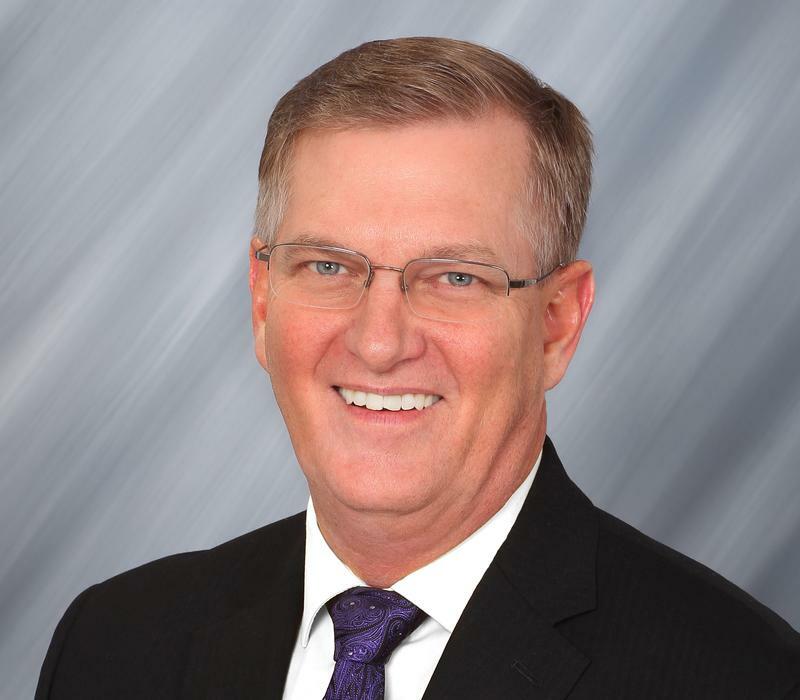 In the first of three meetings to be held this month by Iowa’s Regents institutions, University of Northern Iowa President Mark Nook Monday unveiled UNI’s five year tuition plan. Nook told a group of about 50 people on the UNI campus that in order to attract and retain students, any increases must be reasonable and predictable. Outgoing Board of Regents Executive Says Iowa Universities Face "Major Challenges"
Robert Donley, Executive Director for Iowa’s Board of Regents during the past nine years, says he’s leaving the state university system facing major financing challenges. Donley lists "predictable and appropriate funding" as the major challenge. The Iowa Board of Regents heard from university and student leaders Monday in the first of two meetings to consider additional tuition hikes at the state’s public universities. The regents are proposing raising undergraduate tuition by a total of $358 for the next school year. At the University of Iowa, the total increase for nonresident students would be $1,764. 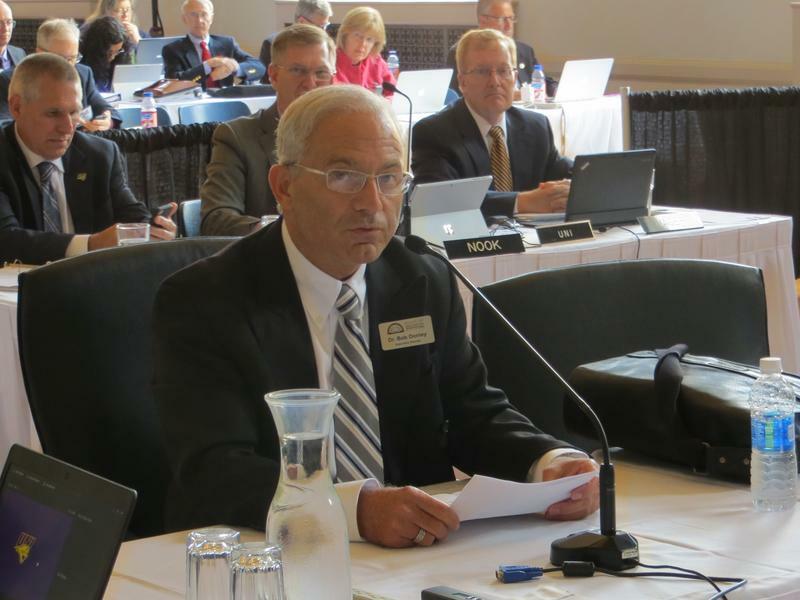 Iowa’s Board of Regents has elected Dr. Michael Richards as the new board president. He’s a 1970 University of Iowa Medical School graduate now living in West Des Moines. Richards is a physician and former Unity Point health care executive. He was appointed to the board a year ago this month. Richards lists setting tuition and getting a new president at Iowa State as the most immediate issues.